Idaho College of Osteopathic Medicine (ICOM) is the first and only medical school in Idaho. Located in Meridian, Idaho, the three-story, 94,000-square-foot facility opened its doors in September 2018. ICOM students will earn a Doctor of Osteopathic Medicine degree (D.O.). Osteopathic medicine emphasizes holistic care and preventative treatment. 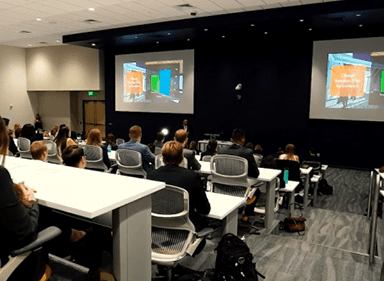 Having worked with LightWerks before at the Idaho State University, Brian Atkinson, Director of IT at ICOM, knew LightWerks would be the best partner for the audiovisual design and installation of the new facilities. This state-of-the-art facility needed an experienced audio-visual integrator like LightWerks, to work with different manufacturers to fulfill all their audiovisual needs. The Idaho College of Osteopathic Medicine building is designed to allow in natural light and give students an appealing learning environment. 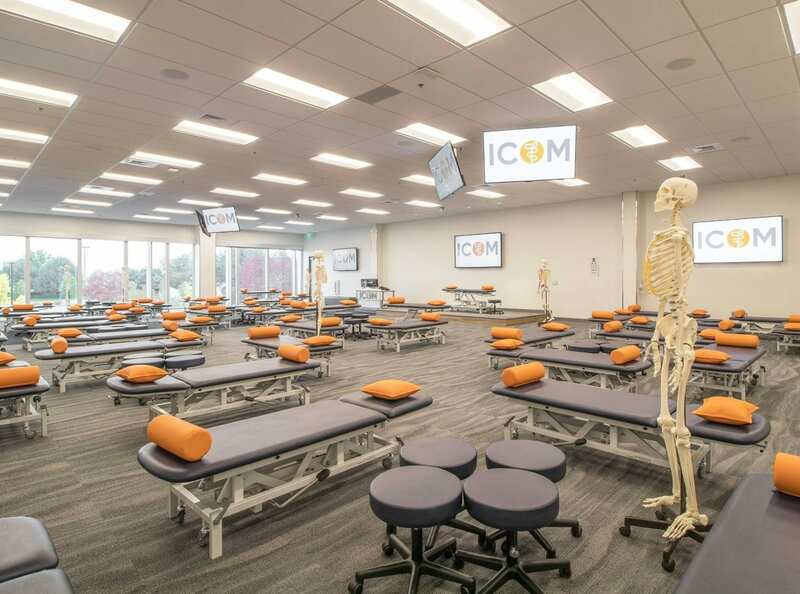 With more than 12,000 feet of classroom space, this facility includes two dividable/combinable lecture halls, each seating 250 students; a state-of-the-art clinical simulation center; a medical library with 124 seats and private study areas; and a Osteopathic Manipulative Medicine (OMM) Lab. Additionally, the facility has 12 Objective Structured Clinical Examination (OSCE) rooms and 24 small group study rooms with high-definition Sharp monitors and glass whiteboards, and 72 Wi-Fi connection spots.The building features 100 percent LED lighting and abundant daylight. The library’s smaller rooms promotes collaboration with technology, by offering students to wirelessly connect their iPads to the large Sharp displays in these rooms. LightWerks installed six digital signage stations in hallways across the facility, which are Sharp 60” inch display. The two lecture halls are Extron controlled and equipped with two Epson laser projectors Pro per lecture hall, a Wolfvision document camera, Chief mounts, Vaddio video cameras for recording and lecture capturing, and Shure microphones. The lecture halls also have large confidence 90” Sharp monitors. One control room controls both Lecture Halls at once, with an AV specialist at hand during lectures. Room schedulers are installed located outside all classrooms, group study rooms, Board Room and conference rooms. The LED ring around the perimeter of the room schedulers turns green when the room is available, and red when occupied. The students and staff can also schedule the rooms from the rooms schedulers. 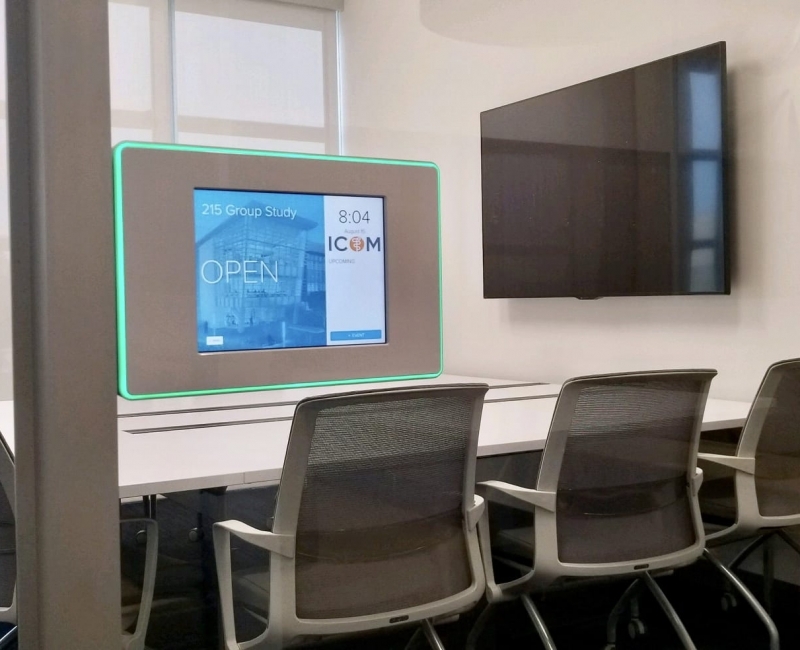 Within the 7 conference rooms, LightWerks installed and programmed Cisco Spark Room video conferencing kits. This device contains 3 cameras that stitch the three images into one seamless image of the entire room, a speaker and a microphone. 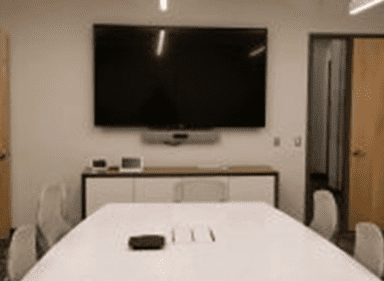 These conference room use Shure ceiling microphone arrays as well as Extron ceiling speakers. The Osteopathic Manipulative Medicine (OMM) Lab is equipped with 9 Sharp displays. The OMM Lab is also equipped with 4 Vaddio cameras, allowing the instructor to Lecture Capture as well as enabling the students to watch medical procedures in detail as performed by the instructor via the 9 Sharp Displays. Classroom 202, aptly known named among staff and students as ‘Glassroom’, has three glass walls. Beautiful as this classroom is, it is challenging to install audiovisual equipment in such a room because of the abundance of ambient light and because sound reverberating off the glass can create an echo. LightWerks installed Epson laser projectors. The Epson projector is located on top of a Draper projector lift, and can be moved up and downwards. LightWerks also designed and installed a Debriefing Room. 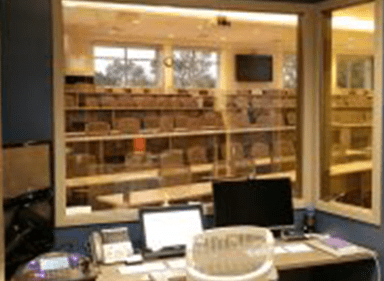 This room houses an Extron touch panel and 2 Sharp ADH displays, and allows professors to give students audiovisual feedback on the performed medical exercises in the simulation center. The ICOM Management and IT team are delighted with LightWerks’ design, execution, and customer service of this large-scale, complex project. For future service and maintenance, ICOM has signed up for a LightWerks Technology Loving Care (TLC) AV Service Agreements, as well as LightWerks Service Desk, which is an “External” ticketing program that allows ICOM and LightWerks to track and manage service tickets. LightWerks can design a custom Audio Visual solution to meet the needs of your company or institution. We specialize in interactive technology, cloud-based conferencing, service, remote monitoring, and high quality audiovisual products to improve efficiency, increase collaboration, and enhance presentations in your organization.